I have created a Rogues Gallery for most of the cruises that we have been on. The gallery contains photos of people from the corresponding Cruise Critic thread. It is nice to be able to put faces to names well before the actual cruise. 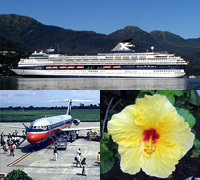 Below are links to the galleries - for upcoming cruises as well as past cruises.